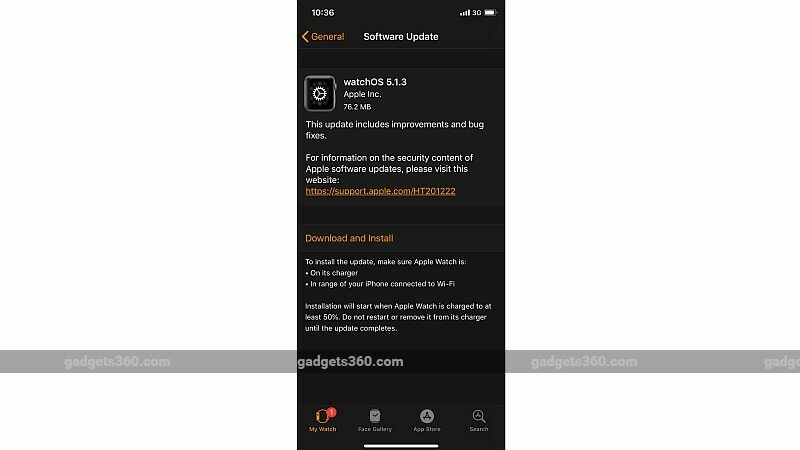 As per the official changelog, the iOS 12.1.3 update fixes a bug that was impacting scrolling through photos in the Messages Details view. The new iOS version also addresses the problem that was bringing striped artefacts to photos after being share from the Share Sheet. 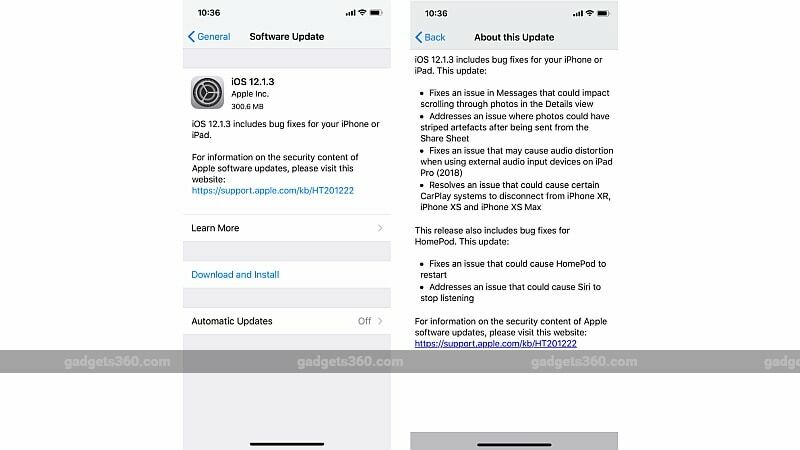 There is also a fix for the issue that was causing “certain CarPlay systems” to disconnect from the new iPhone models, including the iPhone XR₹ 72,484, iPhone XS₹ 91,131, and iPhone XS Max.